Young Tom, of course, was the hot favourite. However, at the end of the first round, it was three other St Andrews men who tied for the lead on 91, Jamie Anderson, Tom Kidd and Bob Kirk. Tom Kidd shot 88 in the second round and finished one shot ahead of Anderson who took a 9 on the heather hole after being bunkered. 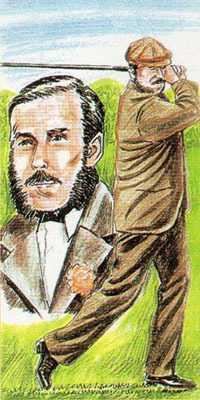 For his win, Tom Kidd was awarded the princely sum of £11 and, as a St Andrews caddie, it was perhaps surprising that he went to Musselburgh the following year to defend his title as his wages (of 1s 6d per round) meant that expenses generally confined his tournament play to Fife.